Customers info and needs: Dunkin Donuts has Central Manufacturing Locations, (CML), throughout the country. This location in Ringold Georgia will provide fresh baked goods to over 100 stores. The concrete on this project was brand new and in perfect shape. 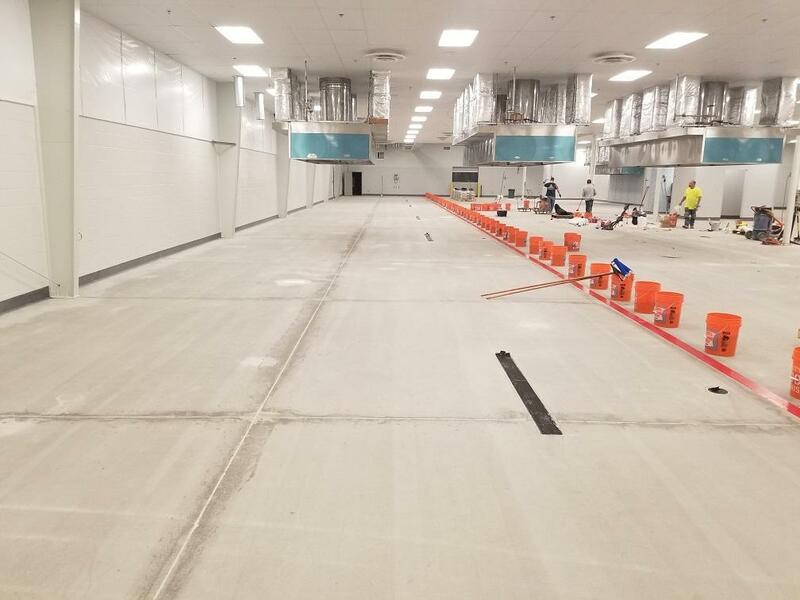 Dunkin Donuts requires that a urethane topping be installed prior to the equipment so the floor will be easy to clean, thermal shock resistant, antimicrobial, impact resistant and appealing to the eye. The production floor at this location was 24,000sf and had to be installed in less than 10 days. 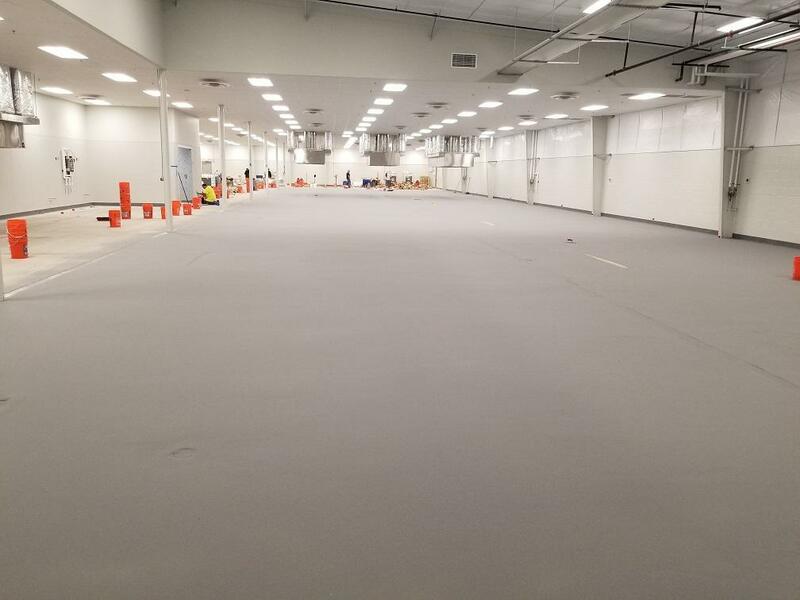 Our recommendation: We recommended a Tenant Coating’s Eco-Crete MF Urethane slurry. The floor would be ¼-inch thick and be topped with a high traffic urethane topcoat. We suggested cutting and caulking all of the expansion joints. *Shot-blast floor to create the proper surface profile. *Cut all joints and fill with a urethane patch mortar. *Install a 6-inch urethane cove base. *Pin rake apply the ½-inch urethane slurry. *Broadcast a colored quartz aggregate to excess. *Cut all joints and install backer rod and a polyurea caulking. *Apply a 100% solids, high performance urethane topcoat. This project came out perfect and was completed 1 day early. The customer loved the floor. This was the 4th CML we have installed for Dunkin Donuts. For more information regarding this industry, visit our Food & Beverage page.